Why we met Andrea Bocelli? To inspire people to be courageous, loving, for human connection, to dream big & take action…because our dreams do not work unless we do! PS! 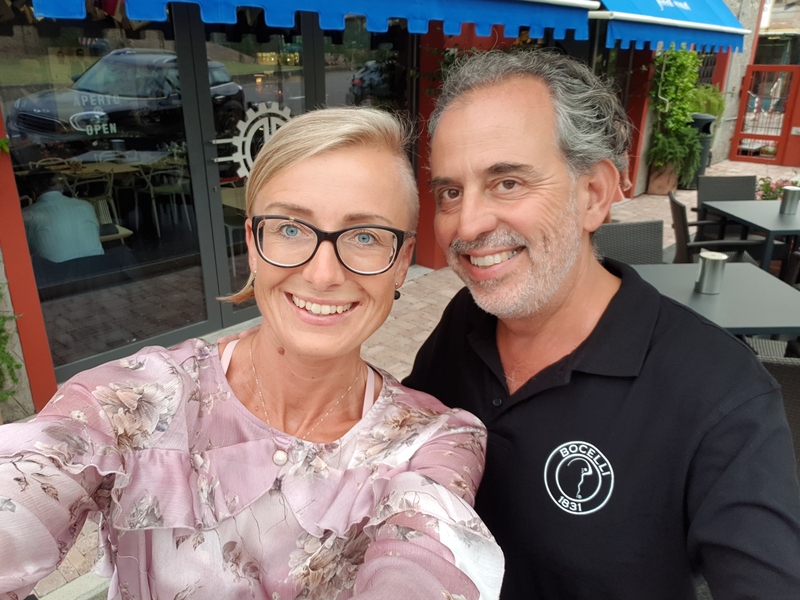 Nobody funded our journey, we covered all our costs and wanted to promote through courage and passion towards Andrea Bocelli as good as we could and still can because we believe in human connection! 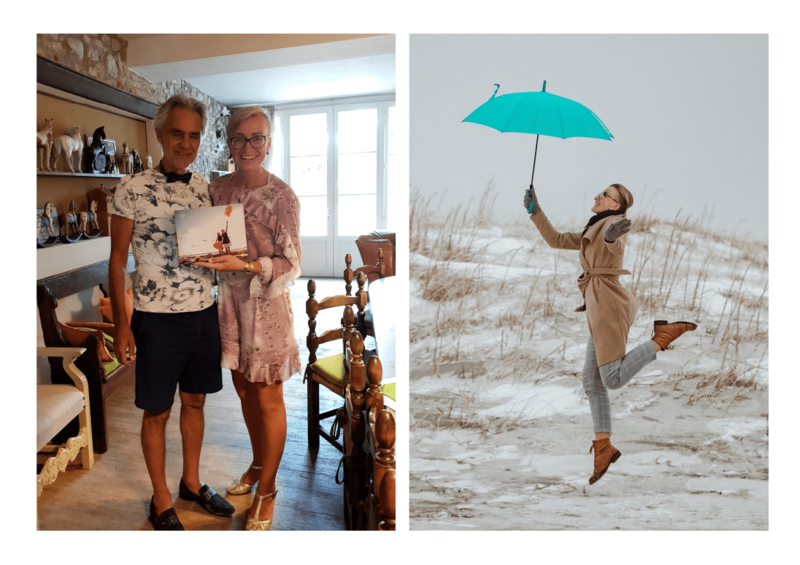 We are Errit Kuldkepp and Laura Siimenson from a lovely town called Visit Pärnu Through our very own lifestyle business Positively Inspiring Lifestyle we want to inspire people to live more fulfilling, passionately, meaningfully, courageously (see Errit´s CV and videos she had done…in order to inspire people around. 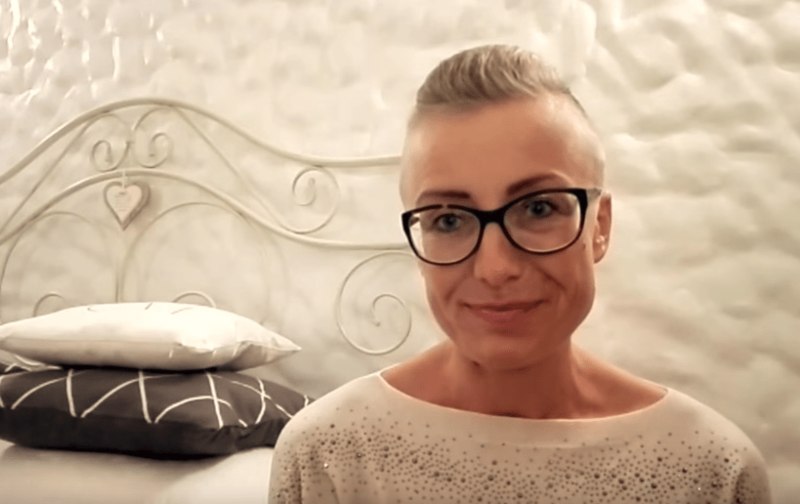 The beginning of a beautiful “Vivere-Dare to Live” journey started when I was preparing for a long distance call from Gozo to Estonia to give an interview for Tre Raadio Pärnu about my master thesis (University of Tartu, Pärnu College) to keep my spirit up…. I am a collaborator of Andrea Bocelli (and myself a musician). 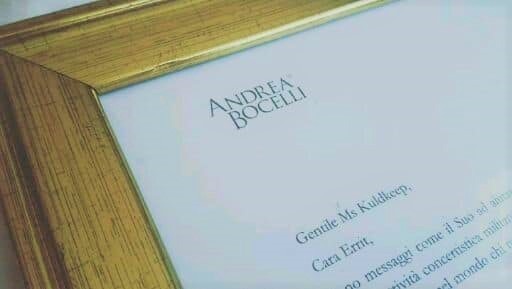 I have seen your message (you sent the link by e-mail to the “Officine Bocelli” in Lajatico), I have personally forwarded your beautiful message to Andrea. Now, I am happy to be able to forward to you, here enclosed, the reply of Andrea. PS. I apologise for the fact that the letter is in Italian (and has not been translated into English). But Andrea wrote it today, while he is about to leave for the United States, without having the time to translate it. 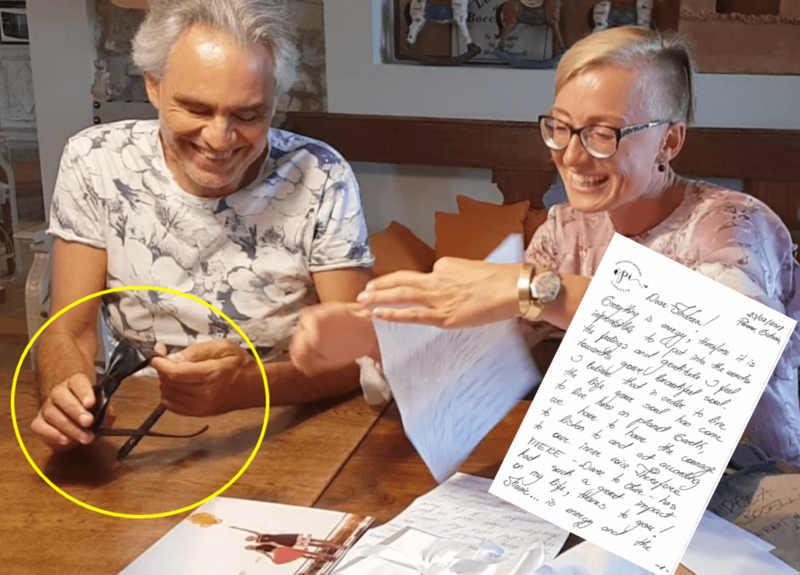 After that I was contacted by a generous and great man Maurizio Lucci form Great Italy tour and we started communicating quite regurarly and he even promised to give us as a gift two tickets to Andrea Bocelli´s concert in ….it seemed impossible….and it was for a long while. I already invited my dear friend Vivian Unt, to come with me to this concert, because they way we met was a truly miraculous fairytale story by iyself….but then came silence…silenzio for couple of months…. …regarding Maurizio, everything was on a standstill….until the beginning of July 2018 when I got another message from Maurizio Lucci saying that he has our tickets….then the excitement went up again and planning started until I woke up in the morning of 4th of July and had a feeling that I have to try to find sponsors, maybe travel companies and embassies would be interested in this collaboration. Errit well prepared a letter, designed it and put a lot of hours to make it right….and sent out more than 20 letters to different companies. Some never replied and some did and the answer was always the same, no. But every single “no” was making us want this even more, therefore with the very last no, we went on and bought the tickets, booked accommodation and a car….and wrote an “thank you” e-mail to all of the potential sponsors saying the following: “We are grateful that you read through our offer to support our journey yet we are even more grateful that you did not reply at all or said NO, because we believe that N.O stands for next opportunity and we faced it, which lead us to…. 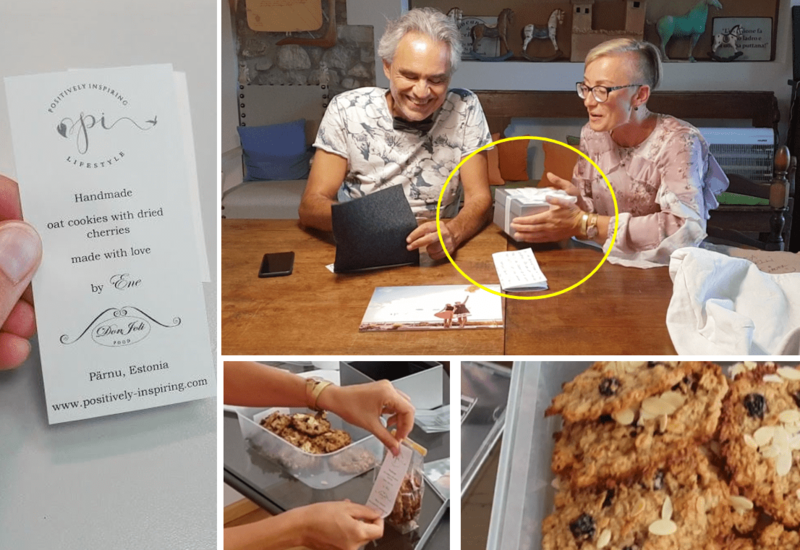 On my birthday, on the 5th of July I made clip about making a wish…and blowing out the candles, in which I thanked all the generous congratulators it went like that: “I am deeply grateful for all of your birthday wishes, this day, 5th of July 2018 will make history for me, as there is something very special going on (a voice inside me (inner gut) tells me so….and i do listen very carefully what it has to say). Stop for a moment and wish something very, very special, beautiful and courageous….and may we blow out these candles all together, so that all your magical dreams can come true. Be brave enough to….live, experience, love, explore, try and to step out of your comfort zone and traditional borders….because only this way you will achieve unbelievable outcomes. 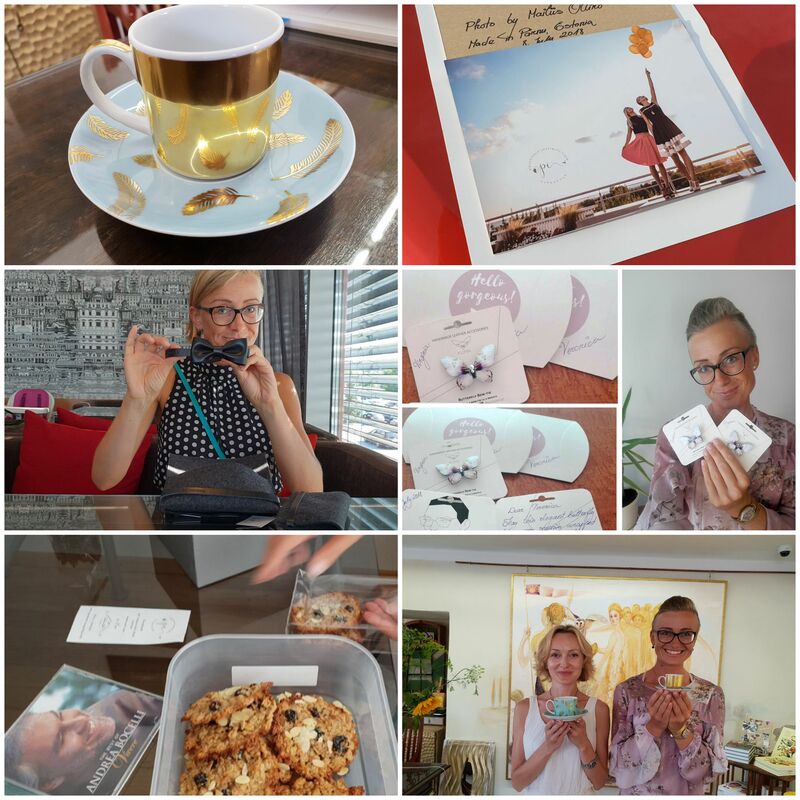 I have really great colleagues in Pärnu Hospital, who have allowed me to create out of the marketing specialist profession something that is creating a meaningful human connection, warm, inspiring and inclusive. Also I have had the privilege to passionately dedicate myself to the creation and development of my very own Positively Inspiring Lifestyle. For years this too was just a dream, but today, right at this moment, a real outcome that you are currently witnessing….and I have the privilege to be able to continue to create with Laura Siimenson something even more meaningful out of it. Believe me, if you do anything with heartfelt dedication, passion and enthusiasm, then be ready for extraordinary outcomes! 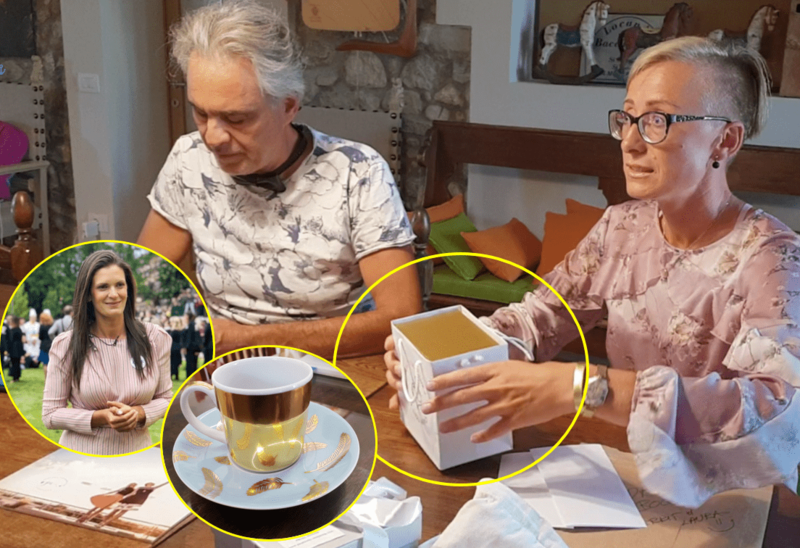 In the yellow circle you can see our well thought gift to Andrea Bocelli´s beloved wife Veronica Berti Bocelli…A “Golden Porcelain Cup” by Arro Porcelain with a wish that came straight from the heart and hoping that this will be a beautiful representation of her Time to Herself as she really needs to do that, especially if she gives out to the world so much….